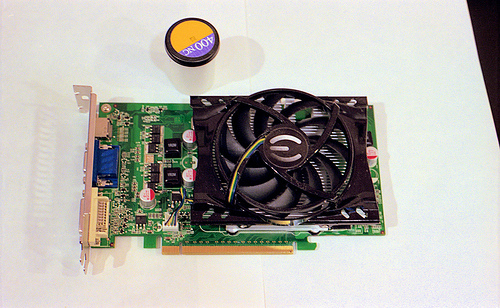 EVGA Nvidia GT240 1Gb video card, with a 35mm film can for scale. Taken in Albany, CA by a Nikkormat FT2 with a Micro-Nikkor 55mm ƒ3.5 AI lens on Kodak Portra 400NC. Negative scanned into computer by an HP G4010. 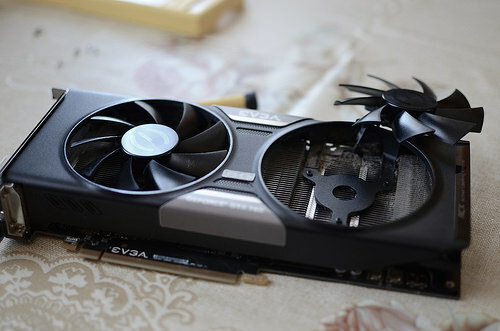 Dust removal, gamma and color correction done in Paint Shop Pro Photo X2.